A fire rated door is a 40mm thick door, made from fully engineered core with intumescent strip inside, delivered as a finished product with no need of painting. It will burn at different rates, therefore providing different rates of protection against the expansion of fire. There are certified 30 minutes and 60 minutes protection doors, subject to rigorous safety regulations and certification to meet UK and EU standards. 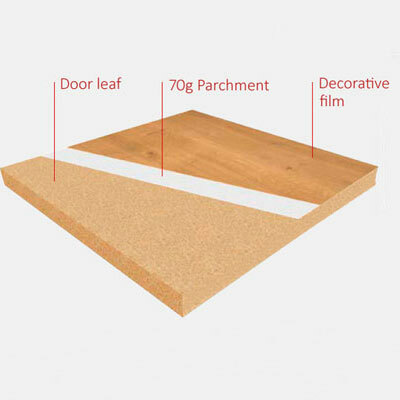 A fully engineered core door consists of a mixture of chipped wood with special high resistance glue - to improve the qualities of soundproofing and thermic isolation. The fire doors are available in most of our models and designs as laminate, real wood veneer or painted finishes, which presents a wide range of products to choose from. 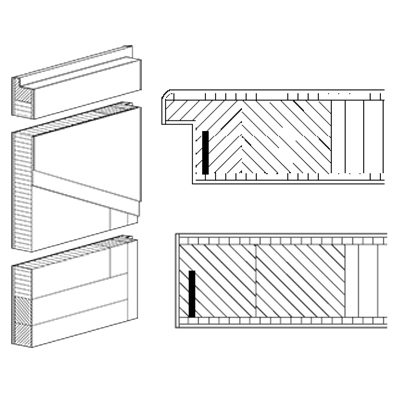 The routing and fitting of the hinges and hardware can be made on site by fitters. If you want the option of hassle free installation, you can select one from our range of fire rated door sets – complete with frame, architrave, hinges and lock - all fitted in the factory. Interior fire rated doors are very important elements to be included in any home, office or building, as they restrict the spreading of fire and smoke. Installing a fire rated door will give you the peace of mind regarding a fire risk, keeping you, your family and your possessions safe. 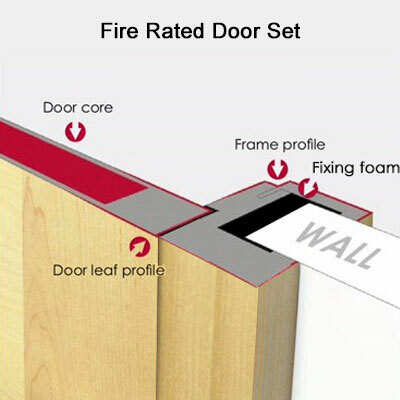 For more information about our fire rated door sets, pease click here. For more information about our fire rated doors, pease click here.